DrinkWire is Liquor.com’s showcase for the best articles, recipes and reviews from the web’s top writers and bloggers. 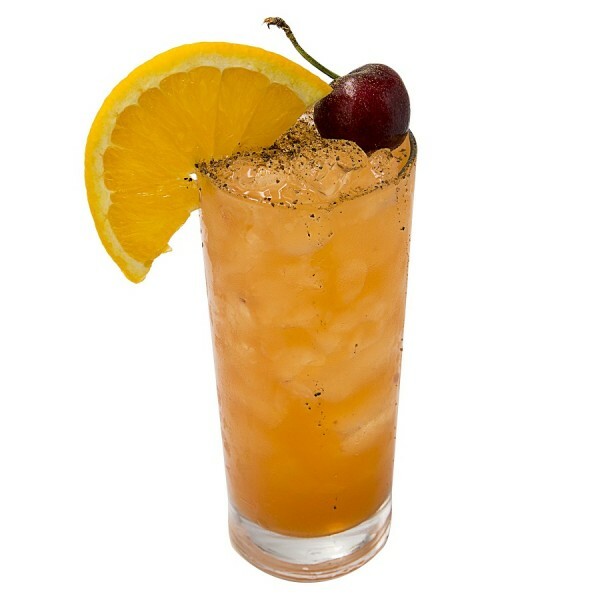 In this post, Missi Rose's Views offers an eclipse cocktail. On Monday, August 21st, a total solar eclipse will be visible from the United States for the first time since 1979. Wow! Sky watchers in North America will be able to see at least a partial solar eclipse on this day, although some will need to travel to see the sun completely eclipsed by the moon. Throughout history a total eclipse installed fear in people rather than excitement or celebration. The ancient Greeks believed that an eclipse was a sign that the gods were angry. The Vikings saw eclipses as a potential apocalypse and the ancient Chinese believed that an eclipse meant that a giant dragon was trying to devour the sun and that people needed to make as much noise as possible to scare the dragon away. Whether or not this eclipse has you intrigued, fearful or excited, it may just be a reason to gather with friends for a celebration. If you’re planning to view this epic event, why not indulge in a cocktail that is worthy of the once in a lifetime occurrence ~ The Total Eclipse Cocktail!